Welcome to Upper Montgomery County, surrounded by the Montgomery CountyAgricultural Reserve, this area boasts a slower pace of living focused on quality of life! Great COMMUTINGto Rockville, Bethesda, DC and N. Virginia...the MARC Train is also at our fingertips. Montgomery County Schools are second to none in the nation and boasting POOLESVILLE High School, the #1 HS in the State of Maryland seven years running. Enjoy all that our area has to offer; Horse Farms, Polo, Community and Private Swimming, Tennis, Ball and Soccer fields, Private and Public Golf Courses, Parks second to none, Wineries, Orchards, The Potomac River with more outdoor activities than you might ever imagine! Ask Gail for a personal tour of our beautiful area. Gail is celebrating over 26 years as a Top Producer and was recognized as one of WASHINGTONIAN MAGAZINE'STOP REALTORS 2017 this year. Gail was also recognized this year as the #2 Individual Producer in her Potomac Miller Office and #6 UNITS SOLD Company wide for 2017! Gail helps both her Buyers and Sellers make the best personal and financial decisions when buying or selling their homes. Now more than ever...EXPERIENCE Counts! Gail is an educator by training with a triple degree in Elementary and Special Education from BGSU in Bowling Green, Ohio. She is an advocate by nature. Passionately involved in her community; serving on several committees, boards and supporting the local schools, her church and many civic organizations. 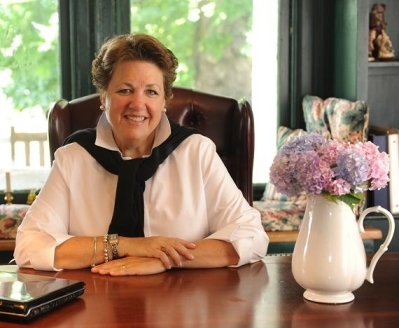 Gail was voted President of the Poolesville Chamber of Commerce in March of 2016. Gail taught in Howard County for several years; raised her family and continued working privately as an Educational Consultant and Tutor when her children were small. Gail began her real estate career as "Rookie of the Year" in 1991. Gail's passion and enthusiasm working with her clients is very evident in every aspect of her business. Gail's excellent marketing and communication skills are an asset to everyone she works with. She works hard for her sellers strategically and creatively marketing their properties for maximum exposure, focusing on the internet and social media as a powerful resource to bring her listings visually to all buyers both locally and nationwide. Gail is an Accredited Staging Professional ASP and works tirelessly with passion to make sure each of her listings "OUTSHINE"their competition! Gail brings her team stager, Eleanor Bateman to help determine what needs to be addressed to position each of her listings market ready for first presentation. When working with Buyers, she is thorough, assertive and willing to go the distance in securing a home that exceeds their expectations. When you are ready to make your next move, work with a committed Real Estate Professional with exceptional listening and powerful negotiating skills. Consistently one of the TOP Individual Agents in her Potomac Village Long and Foster Office; Gail consistently achieves Top Producing Honors. Gail is in the TOP 1% of ALL Agents Nationwide. Gail LEE HOMES is proud of her Team Members and Buyer's Agents Kim Hallman and Maureen Gilli. Gail is working hard to provide more coverage with MORE Open Houses for her sellers, providing more exposure to the marketplace and having extra assistance when showing properties. Gail and her team will EXCEED your expectations! Gail and her husband Tom have raised their three children in The Historic Town of Poolesville, Maryland located in Upper Montgomery County and are enjoying renovating their 1907 Victorian Farmhouse together. Gail knows & loves Poolesville, Darnestown and the entire Montgomery and Frederick County areas. Call, text or email Gail for a prompt response. Gail@GailLeeHomes.comand her direct line is301-602-8188. Personal References furnished upon request.